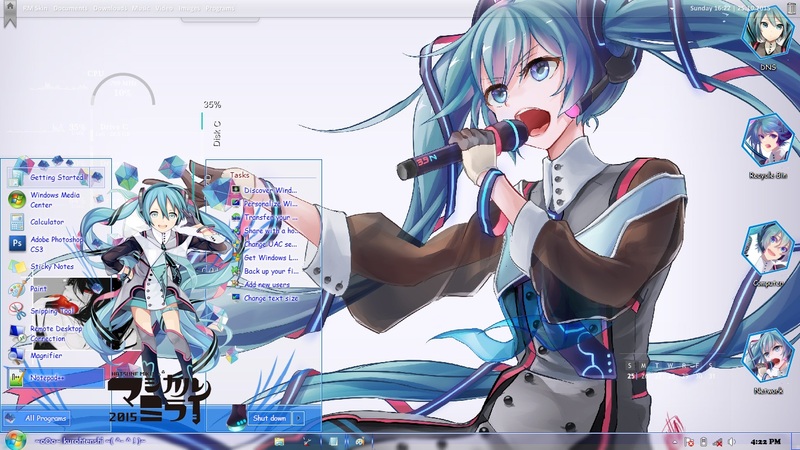 The name of the character comes from merging the Japanese words for first (初 hatsu), sound (音 ne) and future (ミク miku), thus meaning "the first sound from the future," referring to her position as the first of Crypton's "Character Vocal Series. 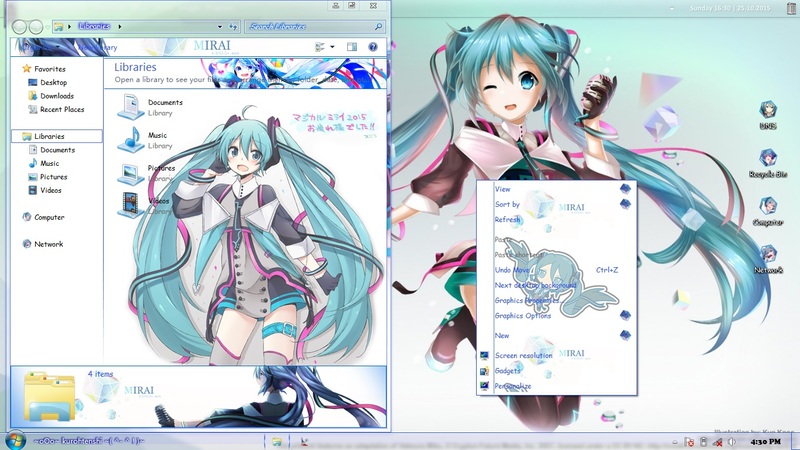 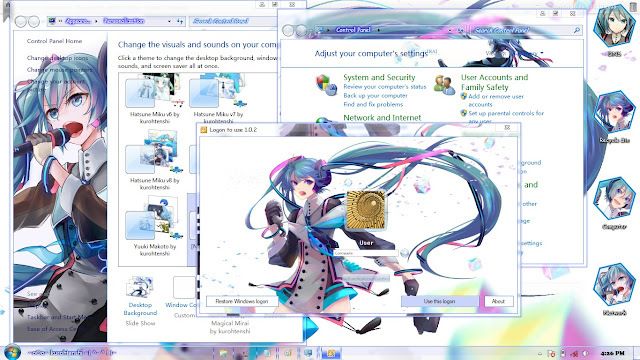 Hello guys, so here Magical Mirai for win 7. What do you think about this theme guys?? 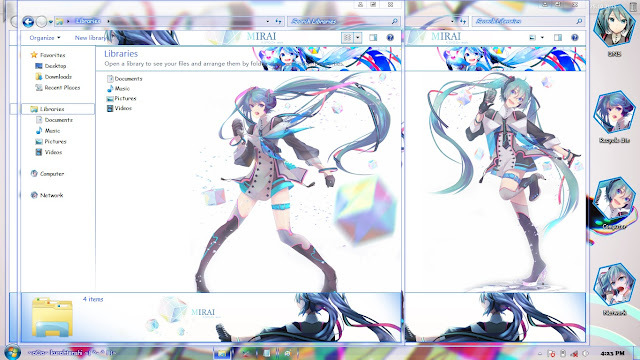 i hope you like my kind of themes. Anyway, i'm so sorry guys i have to do this....this theme is not free, you have to donate first, prove yourself that you deserved get this theme, any amount of donation is okay, to support this blog and support me to keep making free themes that you like. 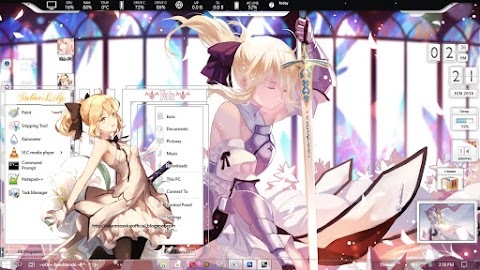 We need your contribution, but i'mnot forcing you to download this theme. 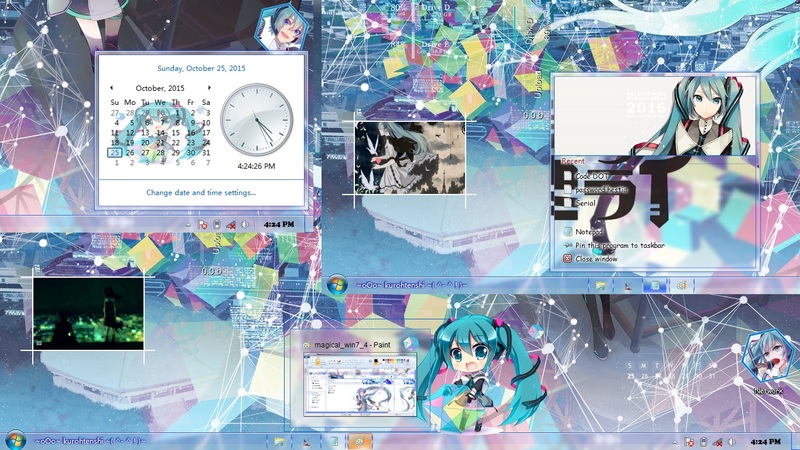 This is a really beautiful theme. 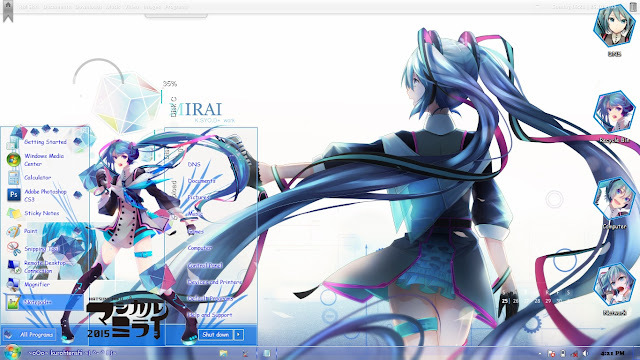 is there windows 10 too?